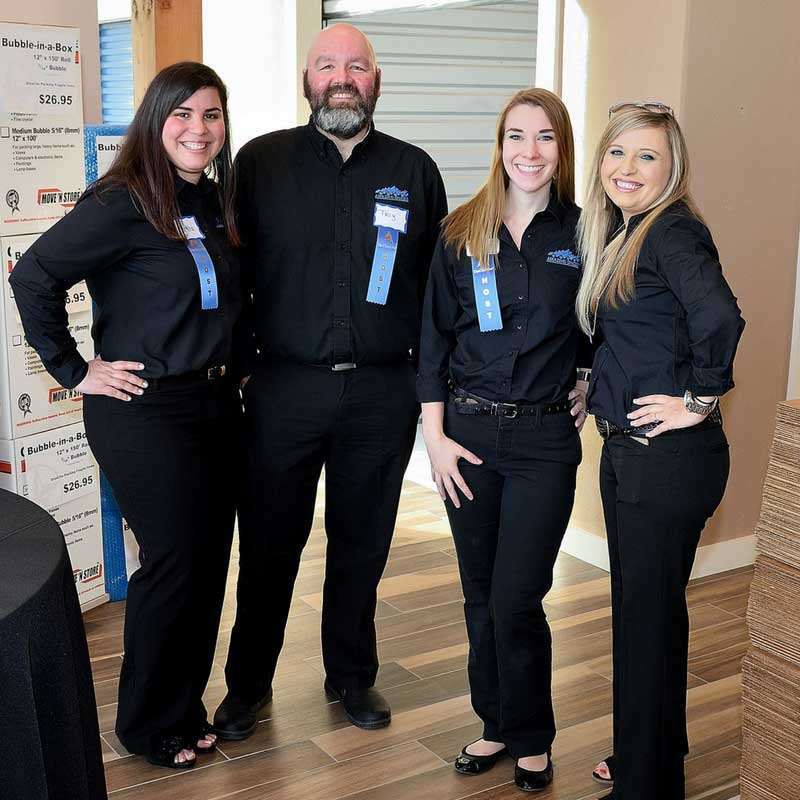 In honor of the Grand Opening celebration of the 5th Amazing Spaces Storage Centers® property, located on FM 2978 in Magnolia, Amazing Spaces, select business partners, and members of the community came together to raise money for Texas Children’s Hospital The Woodlands. It started out as a simple way to give back to the community in honor of opening a new location. A major component of Amazing Spaces Storage Centers’ operating mission statement is to give back to local communities. Each time a new store opens, Amazing Spaces launches a fundraiser for an area non-profit. Funds collected for the non-profit until the Amazing Spaces Grand Opening party event commences. In past years, Amazing Spaces has given back to amazing nonprofits such as Shriner’s Hospital for Children and the Houston Food Bank. The most recent grand opening fundraiser from Amazing Spaces The Woodlands ~ Magnolia has been one of Amazing Spaces’ biggest fundraising successes to date. This fundraising event raised over $10,000 to Texas Children’s Hospital The Woodlands. Amazing Spaces hit their fundraising goal of $10,000 by donating 10% of profits from the new FM 2978 storage location, as well as through donations made by their clients, event sponsors, including: Penske Truck Rentals, Two Men and A Truck Montgomery County, Edgecombe & Associates, Alamo Title Company, Envirocom, Rowland Construction, Trinity Real Estate Finance, Texas Self Storage Association, Kenneth E. Tand & Associates, Inc., Chateau Products, Inc, Brothers Lighting & Electrical, Daniel Movers, A Better Tripp Moving & Storage, Better Homes and Garden Gary Greene, UBC Networking, Community Bank of Texas, Sitelink Software, Empire Electric Company, La Toretta Lake Resort and Spa, Ask One Source, The Oilierie – The Woodlands, Atlantic Relocation Systems, and CostCo. Amazing Spaces is Houston, Spring, and The Woodlands areas premiere provider of self storage and moving supplies. Amazing Spaces aims to provide everyone with the most remarkable storage experience possible. The properties offer highly secured storage spaces, fully climatized units, and a customer service experience unlike any other. Amazing Spaces will be opening its 6th property in the Springwoods ~ Exxon Campus neighborhood in 2018. Learn more about Amazing Spaces and Discover all the Amazing Differences at Amazing Spaces Storage Centers by visiting AmazingSpaces.net. View more images on Amazing Spaces’ Facebook Page.